Four fantastic stand-up comedians in a fundraiser for village hall trying to raise some dosh for a dishwasher. 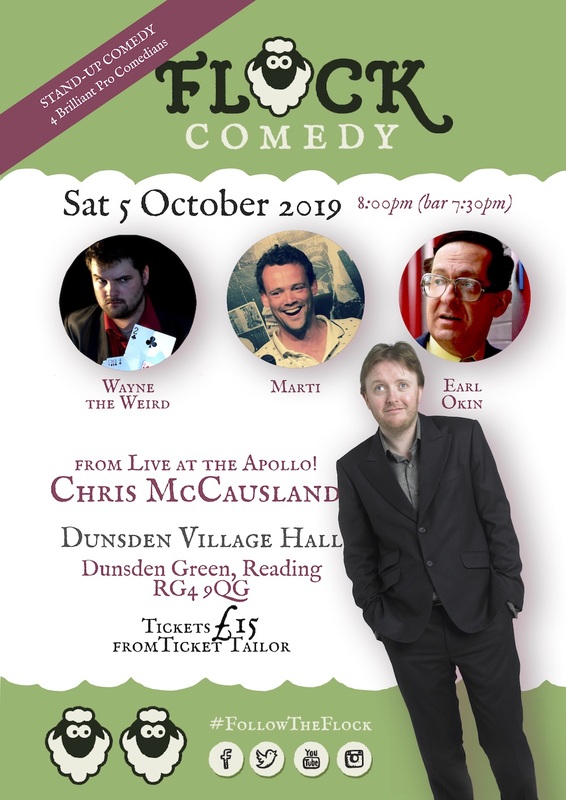 Our headline act is the brilliant Chris McCausland and in support we have the bonkers Wayne the Weird, musical genius Earl Okin and the intriguing Marti. Tickets are £15 and only available Ticket Tailor.